minimizing the project’s environmental impact. This is accomplished by forming secondary recovery units and using horizontal technology for both the producers and injectors to recover left-behind oil reserves through waterflooding. Recycling of the produced water for injection minimizes water use and enhances the waterflood’s sustainability. In H2Oil we consider ourselves stewards of the environment wherever we operate. H2Oil strives to be a responsible operator, forging close working relationships with government regulators to ensure all relevant regulations are closely adhered to, and with landowners to afford minimal disruption to their own uses of the lands. 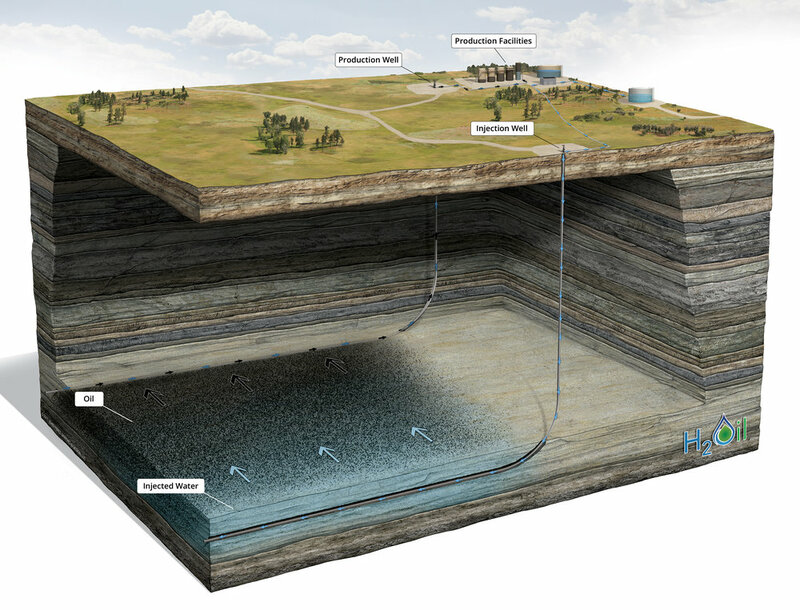 H2Oil takes care in its well designs to ensure that all useable water sources are properly protected and, through the use of horizontal well technology, the surface footprint is minimized.